Police say the woman’s body found on Calton Hill is being treated as non-suspicious. The grim discovery was made on a path near Waverley Place at around 4.30am yesterday. 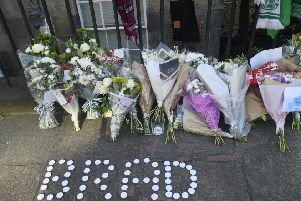 An extensive police cordon was erected on Waterloo Place and Regent Road while forensics officers carried out inquiries. It is believed that a member of the public found the body near the bottom of the city landmark and alerted the emergency services. Traffic diversions were put in place while staff at nearby offices were allowed through. The cordon was lifted at around 10.15am.